Thanks to Harper Impulse via Netgalley.com for the review copy of this title. Shayla is a native NewYorker. The daughter of a famous author, she hates the fact that people treat her differently when they discover who her father is and she does her best to be an independent woman in the Big Apple. Working in publishing, she dreams of writing her own book, rather than ghost writing, and when the opportunity to co-author a cookbook arrives, she jumps on the idea with gusto. Only one snag. The chef is not interested in a cookbook, despite her pleading her case. Herself and best friend, Maggie, hatch a plan to get her close to the Irish Chef, without him knowing who she is. Shayla becomes Sheila, work experience is organised in the beautiful Irish country mansion and the life swap begins. But will she get away with it? Will Ireland be her cup of tea or will she pine for the espresso life of NYC? This second novel from Lynn Marie Hulsman is a real tale of two countries. Their differences are obvious but it's the little things that make a house a home, or a group of people a great set of friends. Shayla has a wonderful friend in Maggie, but an awful job and an uncertain future. The culture shock of her move to rural Ireland is wonderfully written and, thankfully, well researched. 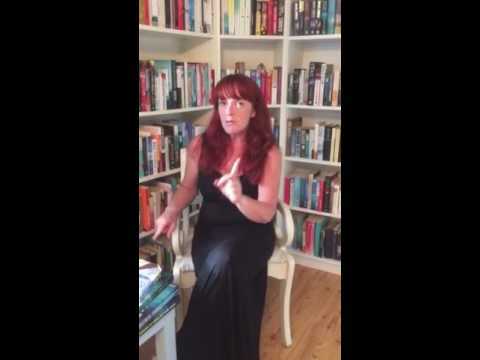 I am always worried, as an Irish reader, that the writer will use the stereo-typical green fields and 'top of the morning' to extreme, but Lynn Marie has got it spot on. Her Irish characters a a mixture of young and old, landowners and staff, outside workers and indoor workers. A full pot full of people, with different roles to play in the running of a country house. 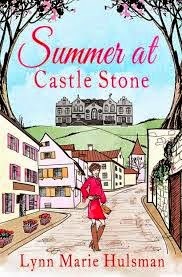 Summer at Castle Stone is a romantic comedy that is impossible not to like. The concept seems a bit far fetched but the story and characters, along with the lovingly described location, makes this a great read. Not just for summer, in fact, I would suggest reading while wrapped up in a nice warm throw, fire lit and a great big mug of tea near by. Oh, and maybe a slice of home-made apple tart might help!